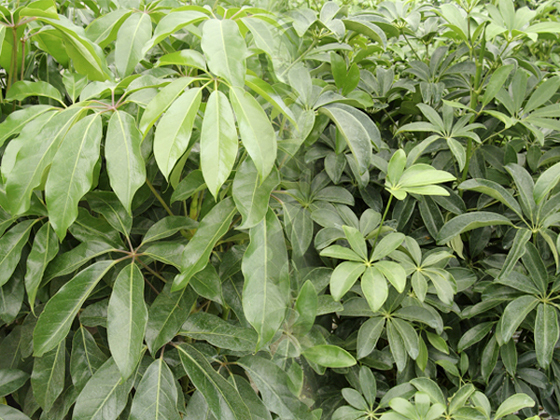 The two most popular types of schefflera we carry are the ARBORICOLA and the AMATE. They both require bright indirect light and are not hard to grow. Water liberally from spring to autumn and less in winter. If foliage begins to drop and turn yellow, the plant is not receiving enough light. The Arboricola is available in green and variegated foliage varieties like Capella and Trinette.